As a reptile grows, its old skin becomes too tight and a new skin awaits just below the old. 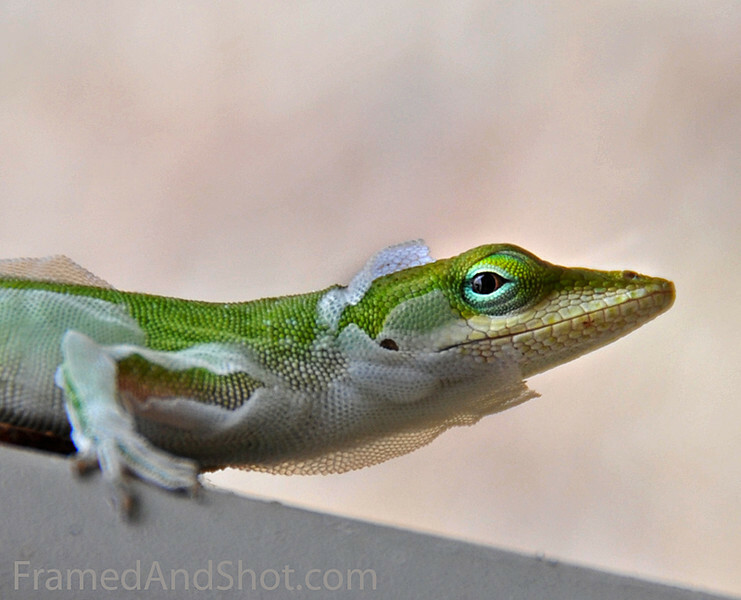 And like snakes, the green anoles in our garden shed their skin periodically as they grow. But unlike snakes, which slip out of their skin in one piece, the lizards’ skin comes off in tatters and shreds, which are sometimes then eaten by the individual. How often they shed depends on the anole’s size, age, food supply and humidity. Our beautiful little Green Anole (2,4 inch/ 6 cm long) looks a bit weird and creepy at the moment.